The Huawei P10 might not be the most exciting flagship of 2017, but it’s still a dependable handset and a solid upgrade to one of 2016’s surprise stars. That superstar was the Huawei P9, which was a great device with a dual-lens rear camera and good battery life, but the newer P10 comes with an improved shooter and a revitalized body made up of a slim metal shell that looks as eye-catching as any other phone you’re likely to find. That's at least until you drop the thing, then you’ll likely be forced to join the hordes of people walking around with cracked screens. But you can avoid that fate by sticking your Huawei P10 in a case, and whether you want a cheap one, a stylish one, a minimalist one or almost anything else we’ve got you covered with the selection below. Note that not all of these cases are available in the US – but then the Huawei P10 itself isn’t either, so you might have to get importing if you’re on that side of the Atlantic. Just want something basic to give your Huawei P10 a fighting chance in a fall? Then you could do worse than this IVSO option, which comes in a range of colors, has a grippy rubberized design and a not unattractive pattern. There are more protective cases and more stylish ones, many of which you’ll find elsewhere in this list, but few of them are this cheap. This is a case for anyone who really doesn’t like the idea of covering up their Huawei P10, but also really does want to give it some protection. It’s slim, light and transparent, so from a distance your P10 almost won’t look like it’s in a case at all, and even up close you can still admire the metal finish of your phone – albeit now covered in a slightly shiny layer of plastic. This wallet case has a premium look while remaining affordable, thanks to its use of synthetic rather than real leather. It’s a convincing effect though, and being a wallet there are also slots for your cards. Plus, the front folds over your P10’s screen for all-round protection, staying shut with the power of magnets, and it can also be folded out into a stand for on the go movie watching. Olixar’s ArmourDillo cases tend to be among the toughest around and you only need to look at them to see why. They’re chunky and impact-resistant, with two layers to keep your phone safe from scrapes and falls. The case also extends out to provide extra protection to otherwise vulnerable areas of your phone, like the corners. Meanwhile, that grippy finish both makes it easy to hold onto and comfortable in your hands, and while the ArmourDillo is mostly about protection it also has a flip-out stand. When buying cases, going official is usually a safe way to get a high-quality one, and that’s exactly the case here with the official Huawei Mashup Case, but unlike many official cases it’s not even super expensive. Its mix of grey fabric on the top half and a brown leather-like material on the bottom makes it look expensive and unusual and is also sure to feel good in the hand, while adding minimal bulk. Another wallet case, but unlike the one earlier in the list this Olixar option is made of real leather. That inevitably makes it more expensive, but if quality is king then this should be your crown. 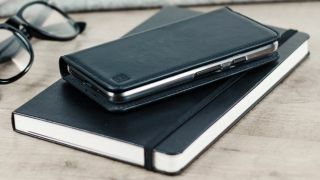 It’s ideal for a professional setting, but will look good almost anywhere and also comes with slots for cards, cash and documents, as any good wallet case should. Plus, you can also fold out a magnetic stand, so you can watch videos comfortably anywhere with a vaguely flat surface. Want to stand out from the crowd? You’ll certainly do that with one of these Presidio Clear + Glitter cases from Speck, which has crystal glitter embedded into the case. Speck claims it won’t flake, so the case should keep its glittery sheen for a long time. It’s also resistant to scratches and UV yellowing, so should look as good as new even when it’s years old. But it’s built to protect your Huawei P10 too, with 8-foot drop protection, thanks in part to a dual layer design that absorbs and disperses force away from your phone. And if sparkles aren’t your thing there’s also a plain version of the case available. This is perhaps the ultimate no-compromise case when it comes to protecting your beloved Huawei P10. Just look at it. It’s as big as a brick but it’s dust and water resistant, snow proof, has a built-in screen protector and is designed to withstand heavy impact damage. This probably isn’t something you’ll want to use day to day unless you live a particularly extreme life, but could be a great option when hiking, skiing or doing anything else where your phone is likely to be extra exposed.